follow the prompts to the left if you have general questions about precision and our repair process or you can print your repair form if you’re ready to ship. Fill out the form field below and we will walk you through some of your options. 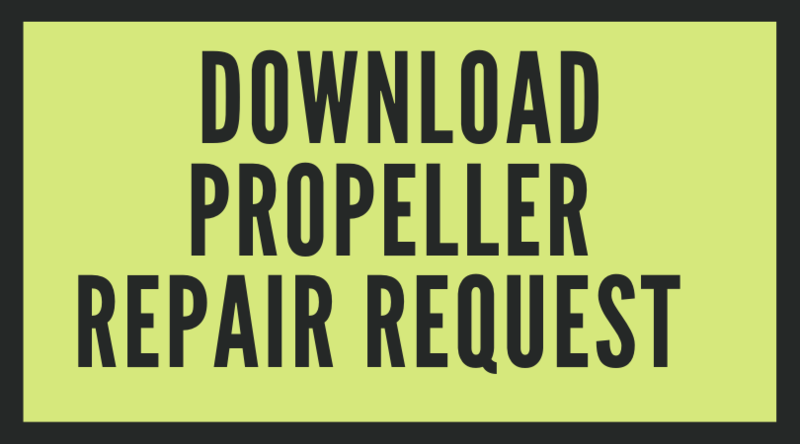 *Please note the propeller repair request form is not necessary for inquiries, only shipments. Thank you for trusting your repair with us. We appreciate your business. If you’re set and ready to send us your prop, fill out the PDF below, PRINT & send it alongside your prop when you ship it to us.